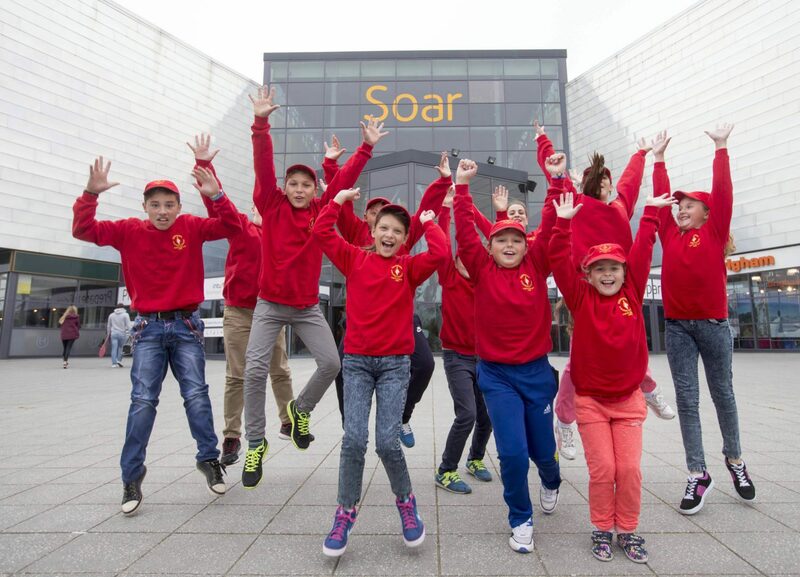 CHILDREN who are victims of the “forgotten disaster” at the Chernobyl nuclear reactor yesterday got the chance to enjoy themselves in the Soar at intu Braehead leisure destination. 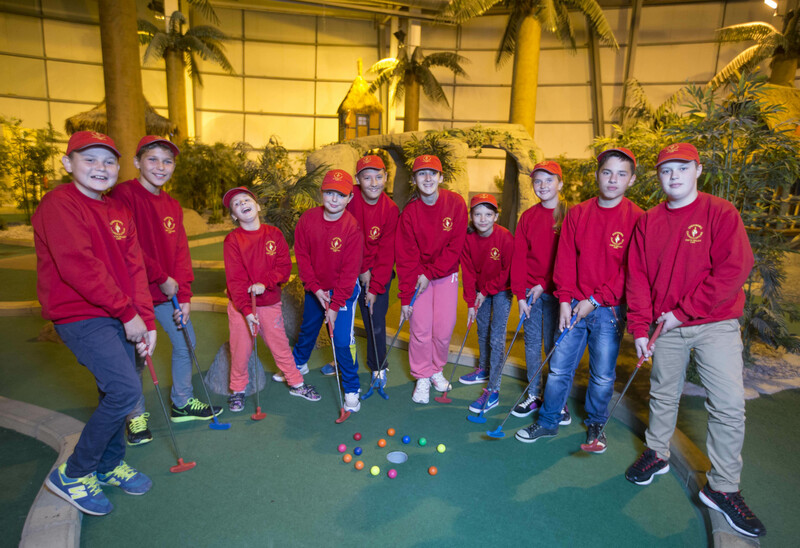 The youngsters, aged between nine and 14, were invited to spend a day there and the intu Braehead shopping centre as part of their three-week stay in Scotland, organised by the Chernobyl Children’s Lifeline charity. 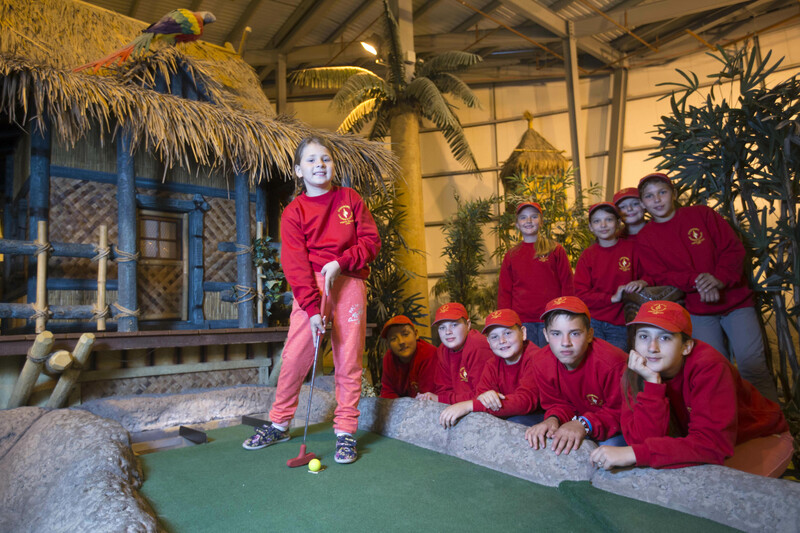 The group of ten children from the Borodianka district, south of Chernobyl, in Ukraine played a round of golf at Paradise Island Adventure Golf; went sledging at Snow Factor’s indoor snow mountain; had a McDonald’s for lunch; received gifts from Marks and Spencer and Primark; then rounded off their day with a session at Laser Station. “The nuclear explosion at Chernobyl almost 30 years ago is the forgotten disaster. Although it has long been out of the media spotlight, the horrifying effect of the disaster and radiation leak is still being felt and people are still suffering. Gail added: “It may sound like an exaggeration, but the three weeks these children spend in Scotland could be enough respite from the radiation that it could save lives. “These youngsters are approaching puberty and while they are in Scotland they are breathing clean air and eating uncontaminated food for long enough to reduce radiation levels in their bodies and boost their immune systems. The Chernobyl Nuclear Plant was the biggest employer in the area and since the explosion workers have been unable to find other jobs. Gail continued: “The youngsters brought over to Scotland by our charity live in poverty and deprivation as there is massive unemployment. Youngsters have told us that families forage in the forests for mushrooms and people fish in the river for food to put on the table because they can’t afford to buy food from shops. “But the land and the river are still contaminated with radiation. All the children we have staying with families have extremely high levels of radioactive caesium in their bodies. “We’ve got to a say a big thank you to the good people at intu Braehead for giving these kids a great day out. It’s an experience they would not be able to enjoy back home. Community development manager at intu Braehead, Lydia Brown said: “It was great to see the look on the faces of the youngsters as they enjoyed their visit to intu Braehead. Kibble Education and Care Centre up for top award Do our children start school too young?